LOS ANGELES, CA--(Marketwired - September 03, 2017) - Los Angeles electricians should be hired carefully. There are many unscrupulous companies out there that take advantage of homeowners who are experiencing electrical emergencies. Express Electric, Heating, A/C is different, that is why they have earned over 2000 5 star reviews from homeowners and businesses on trusted consumer review websites like Google, Yelp, Home Advisor, Nextdoor, Angie's List, YP.com and others. "As a result of the high level of customer satisfaction and positive feedback we have decided to expand our service offerings to include HVAC services," Says Mario Campirano. Some of the new HVAC services include air conditioning repair, maintenance and complete system installation or replacement including all duct work. Furnace repair, replacement, maintenance and system installation is also available. 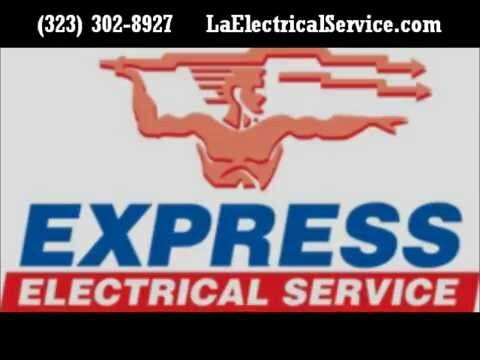 Express Electric, Heating, A/C has long been considered the best Los Angeles electricians by their customers and now they want to be known as the best HVAC Company. Mario Campirano says, "When it comes to a home's heating and cooling there are lot of options for different systems ranging from inexpensive to state of the art in terms of energy efficiency, air quality and zone control. Our technicians are comfort specialists and they will give you a real and honest evaluation of your home and explain your options from the simplest repair to new system installation." One of the things that really differentiate Express Electric, Heating, A/C from other electricians in Los Angeles and other HVAC contractors is their ability to get to their customers fast. They can get to most customers within 60-90 minutes and that is important to people who need emergency service. "When we get a call that someone has flickering lights, a hot outlet or light switch, sparks, circuit breakers that keep tripping or any other emergency we react quickly because we understand that our customers want to be completely safe in their homes. My promise to our customers is that we will not leave your home if you hire us until you are completely safe." This promise will now also extend to HVAC services not just emergency electrical service in Los Angeles. Common problems Express Electric, Heating, A/C encounters with their heating and cooling customers are non-working air conditioning systems which can be a serious health concern for seniors and people who are at high risk for illness when hot. Other safety concerns related to furnaces are carbon monoxide and gas leaks. Express tests the system for carbon monoxide and gas leaks to make sure their customers are safe. 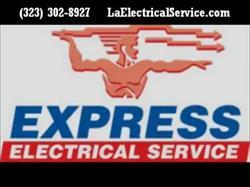 To learn more about Express Electric, Heating, A/C please visit their website. To see many of their 5 star reviews please see the reviews section of their website. If you have an electrical emergency and need an experienced and honest electrician at your home in the next 60-90 minutes please call their friendly dispatchers now at (323) 727-7799. Mention this article to save $59 off any type of electrical repair or HVAC service. Los Angeles electricians within 60-90 minutes.